This rustic bedroom chest, inspired by farmhouse style, will be a lovely and convenient addition to your home. 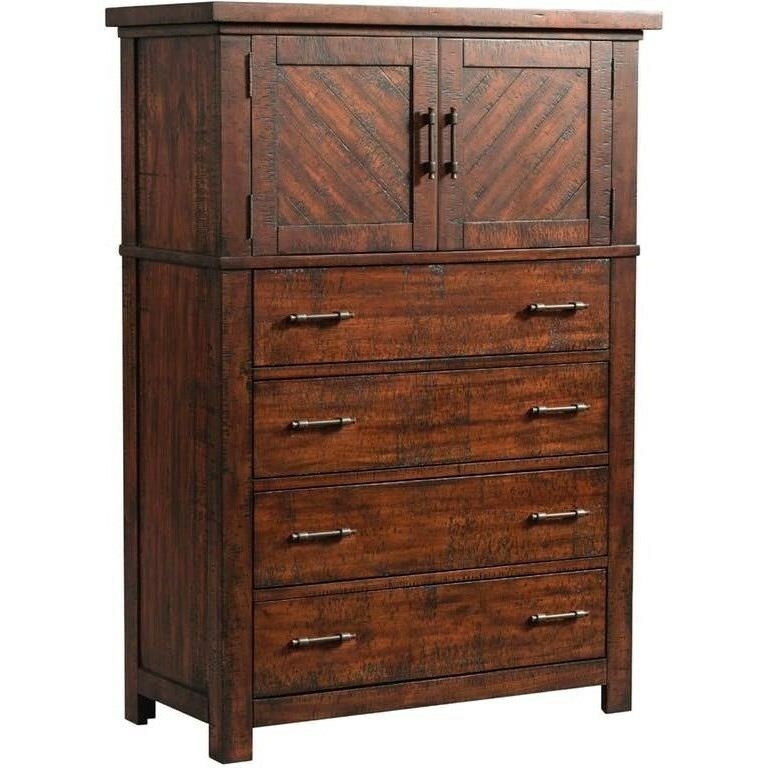 The chest has four drawers with dovetail construction and two doors, providing plenty of storage space. Angled inlay doors and a smokey walnut finish with earthy wood grain add more rustic charm to the table. The Jax Rustic Chest with Inlay Panel Design by Elements International at Miskelly Furniture in the Jackson, Pearl, Madison, Ridgeland, Flowood Mississippi area. Product availability may vary. Contact us for the most current availability on this product.